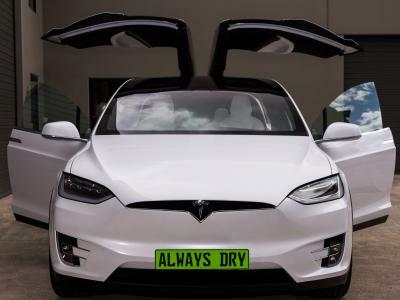 Windshields protected with Always Dry Vision Tech windscreen protection become highly water-repellent creating a surface that sheds water, especially at higher speeds. You can see for yourself in our “Let us prove it” video on this page above. We will show a windshield half-protected (treated) and half-unprotected (untreated). 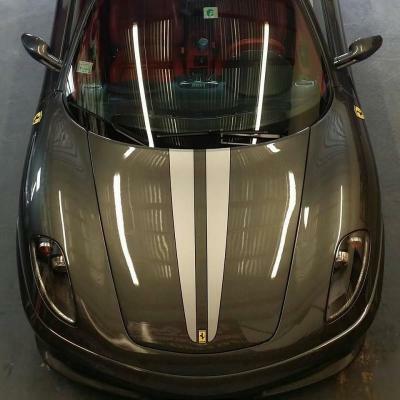 Vision Tech is ultimate in windscreen and glass coatings! 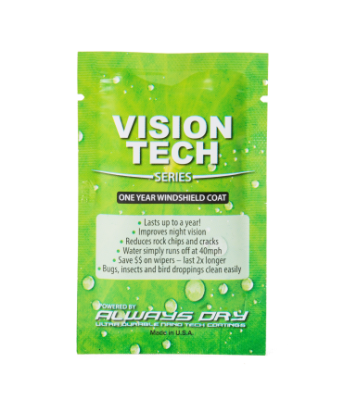 Vision Tech by Always Dry is a proven technology for your vehicle. Independent University studies prove the Vision Tech reduces the amount of damage a windscreen experiences from flying debris. This is important because a damaged windshield can compromise the safety of your vehicle in several ways. 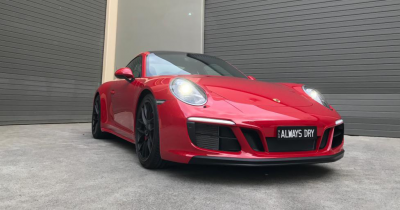 Preventing that damage from occurring by having Vision Tech Nano-Coat applied will improve the safety of you and your passengers and will reduce the likelihood that you will have to endure the cost, time and hassles of replacing or repairing your windscreen.